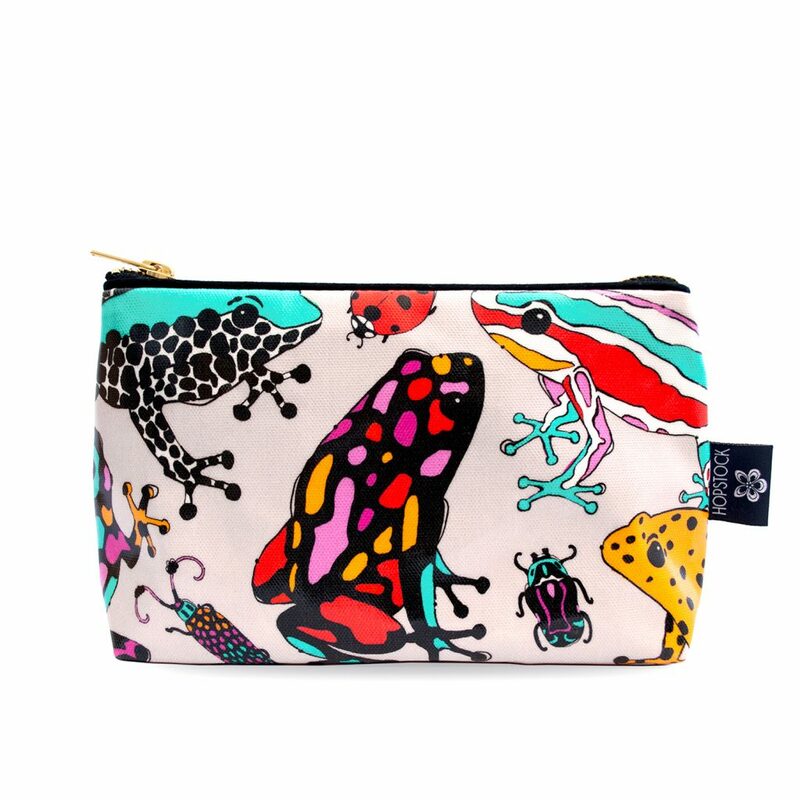 Digitally printed on the finest cotton half panama fabric, it is fully lined with a waterproof material so it is leak proof. 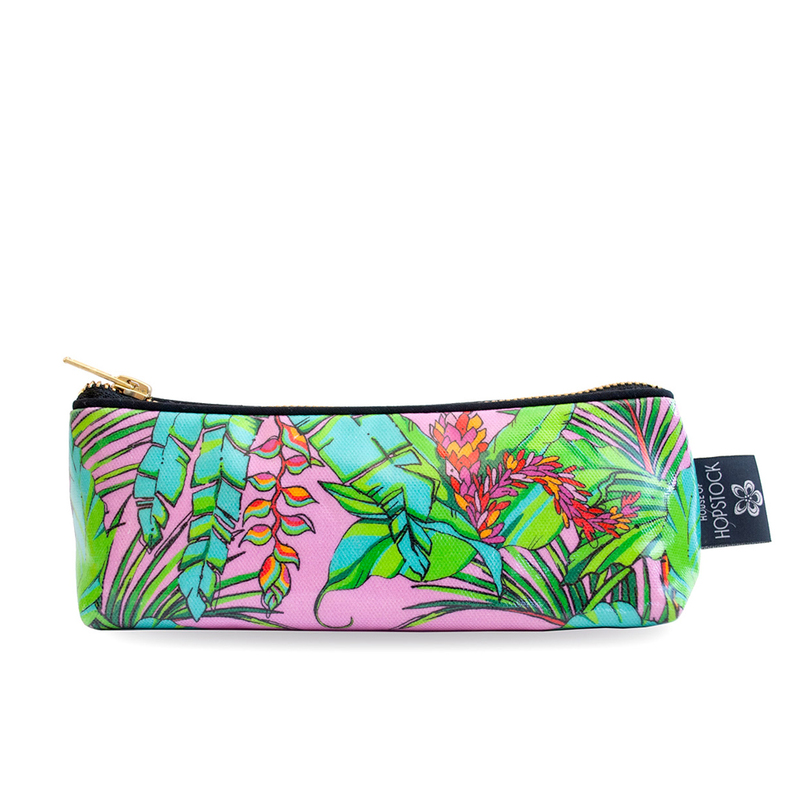 Perfect for your cosmetics, and also as a fabulous little place to store other treasures either at home or when you travel, like accessories or jewellery, underwear, or even art supplies or all your leads and chargers. 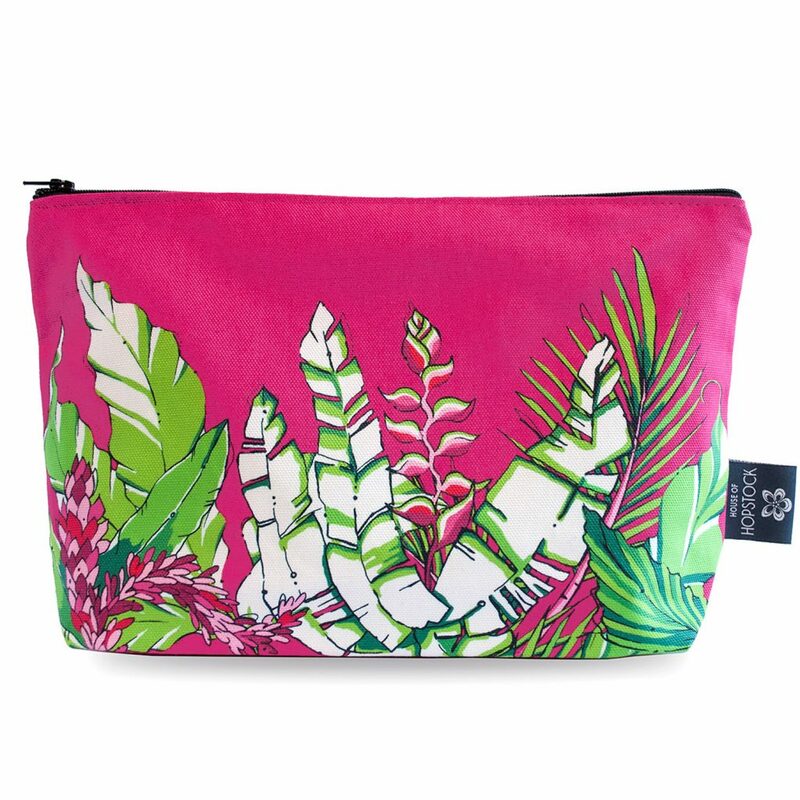 It even fits an Ipad for when you want to keep it safe in your handbag. 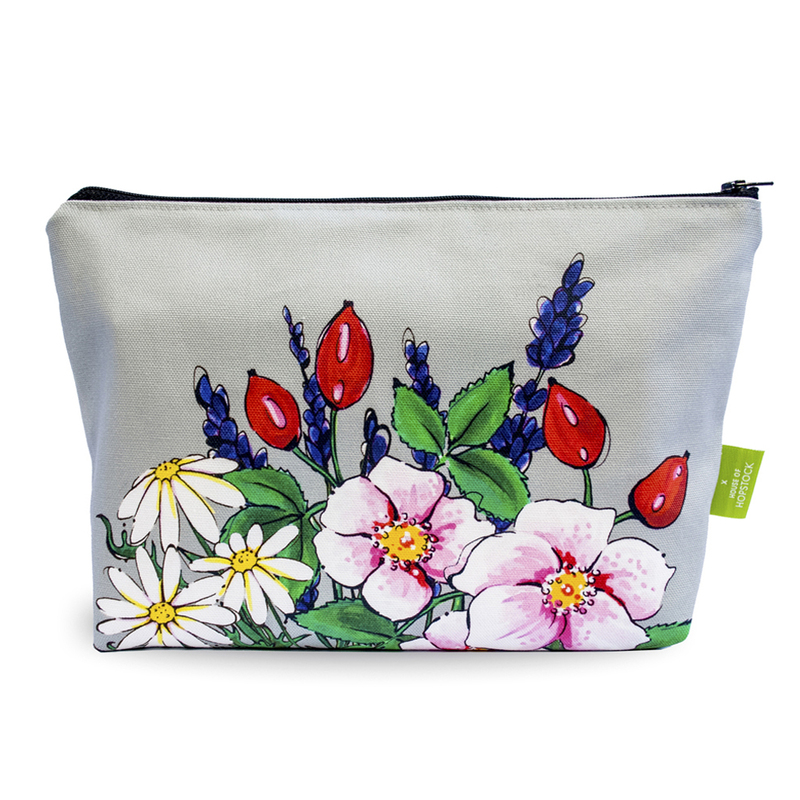 The print takes inspiration from botanical ingredients favoured by our partners in crime, Sable Beauty, and include rose hip, camomile and lavender. 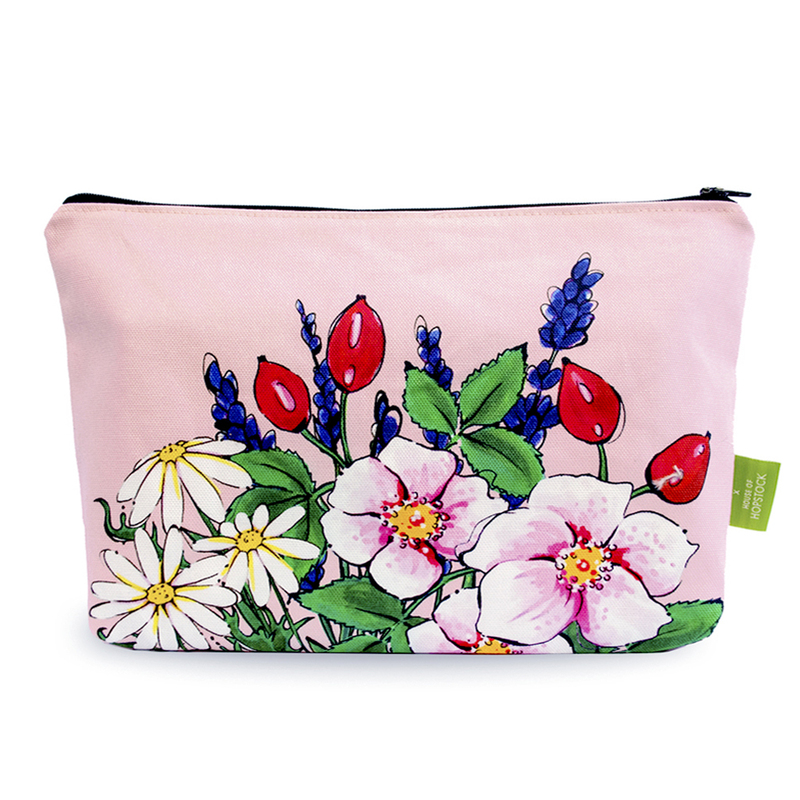 Together we have created a romantic floral print to bring you some wildflower meadow joy.